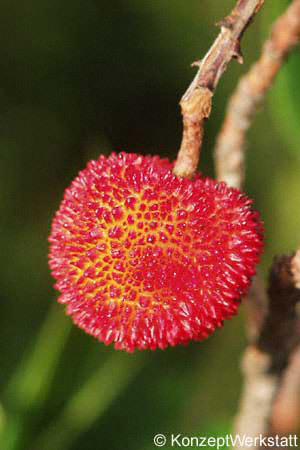 The Strawberry Tree is an evergreen shrub with decorative, edible fruits and attractive flower panicles. Flowers and fruits appear at the same time. 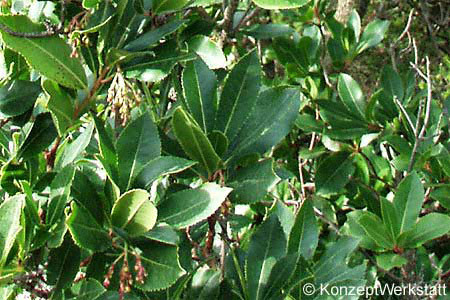 Evergreen, lanceolate or elliptic leaves, glossy dark green above. 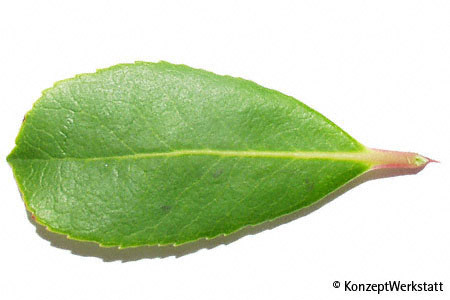 Entire or finely serrated margin. Size: 4 to 11 cm long. Flowering period: X to III. 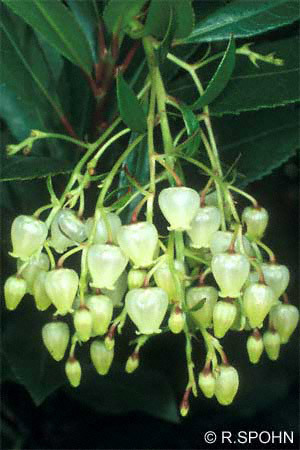 White, flowers resembling lily of the valley, 7 to 9 mm long, in 5 cm long pendent panicles. Strawberry-like red fruits approx. 2 cm in diameter. Edible, but very granular and bland or sour. The fruit only ripens after one year. 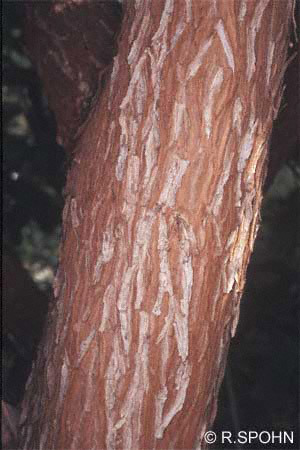 The bark is rough and scaly, grey or grey-brown. Young bark is red-brown and gives off fibres. Young shoots are hairy. Light: full sun to off-sun; soil: very dry to fresh; soil structure: normal to loose; soil depth: shallow to deep; compaction: to be avoided; humus concentration: medium; pH value: acid to low; nutrient concentration: low to high. Urban climate: resistant; does not tolerate stagnant moisture and compaction. 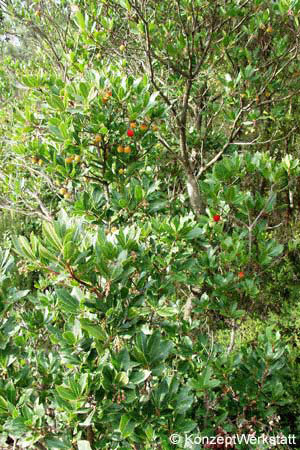 Height of growth: 5 to 10 m. Spread: 4 to 9 m. Evergreen, slow-growing large shrub or small tree. Usually round or spherical. Grows to approx. 1.5 - 3m high in containers.